I was digging through a box of cassette tapes here at the tunequest compound and happened upon a handful of bootlegs from my tape trading days back in the 90s. Shows by “alternative” artists like Beck and Weezer early in their careers. Somewhat surprisingly, most of the shows have informative tape jackets, complete with show dates, venues and setlists. But there is one which has no jacket at all. And the tape itself is simply labeled “Velocity Girl (live)”. I have no idea when or where this show took place. Having listened to the tape, there aren’t any clues or statements by the band or audience that hint at a time or place (though I think Sarah Shannon may have said “Thanks to the Dispatch” at the end of the show. Possible evidence there). From the song selection, I guess it’s a show from the group’s ¡Simpatico! era, which would put it anywhere from late 1993 to early 1995. And Google has been of no help. 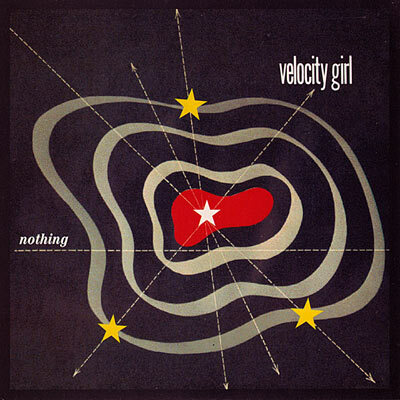 Velocity Girl may have been the second biggest band on Sub Pop, but in the 15 years since they broke up, the band has slid into the murky depths of obscurity. Information about the band’s history is scarce these days. So I’m throwing this to the Internet. Hopefully, a fellow tape trader or Vgirl fan has this show or knows something about it. If you recognize the setlist, please let me know. Thank you! This is unrelated, but after the end of the Vgirl show, on the unlabeled back side of the tape, is a live in-studio performance by the band Trans Am at WPTS radio in Pittsburgh. This is a recording which I do not recall having ever heard or known about. The performance is followed by standard on-air programming from the radio station until the tape runs out. This existence of this recording is completely baffling. I started listening to Trans Am in spring 2002, which is about six years after I got the Vgirl bootleg. By 2002, I had already gotten my first iPod and was leaving the world of cassette tapes behind. But most importantly, I’ve visited Pittsburgh twice since then, and neither time was I packing a box of ten-year-old cassette tapes with me. So I’m certain that I didn’t make this recording myself. It would help if I knew the date of the performance at WPTS, but once again, the Google fails me. I can find no references to this radio appearance anywhere. The DJ even mentions that they’ll be playing at a venue called “Cloud Nine” in the evening, but I can’t find any references to that either. I don’t think it exists anymore. The only conclusion I can draw is that this Trans Am recording was already on the tape when I got it. But of course, I don’t remember when or from whom I got it. By all appearances though, it would seem that I had a bootleg in my collection for a band I wouldn’t actually discover until several years later. And the thought of that kinda blows my mind. Whenever and wherever it came from may never be known and it may forever be a tape of mystery. A recording of the show is available on SoundCloud. Recently, I’ve taken to re-encoding some of my favorite CDs, mostly ones that I originally encoded long ago, some as far back as 1999. Hard drive space was at a premium at the time, so I traded acceptable losses in quality for a smaller storage footprint. When the music is coming from a beige G3’s internal speaker, 112 kbps and 320 kbps mp3s sound basically the same. But as I’ve gotten older and I’ve been able to afford audio equipment with higher fidelity, the flaws in those original files have become ever more noticeable. Since hard drive space isn’t much of a problem these days, I’m endeavoring to upgrade all those ancient files to modern quality standards. As I run across those sub-par album rips during my daily listening routine, I’m replacing them with 256 kbps VBR AAC files or Apple Lossless (if they are deserving of the extra attention to detail). And so was this situation that occurred last week when listening to Velocity Girl’s ¡Simpatico!, one of my all-time favorite albums. The music sounded “off” and it reminded me that I’ve been meaning to create a new encoding for a long time. I grabbed the disc off the shelf, fired up Max, the handiest freeware audio converter/ripper/encoder available for Mac OS X, and set it to work. But it did not take long for an anticipated problem to rear its head. The seventh song on the disc, Rubble, has had a pretty nasty scratch for I don’t know how long, a scratch that marred the original file years ago. As I feared, the encoding process stalled, so I canceled it. I’ve known my iMac’s built-in Matshita UJ-846 drive to be problematic with flaky discs, frequently getting hung up on them, so I pulled out my external Pioneer DVR-107D and hooked it up via Firewire. The DVR107D was one of the first DVD burners available for less than $100 and I got one to use with my G4 iMac, which couldn’t even read DVDs, much less write them. I crammed the drive into an old LaCie case I had and, let me tell you, this thing has performed like a champ for the entirety of my ownership. It has read every disc I’ve put into it. And recently, it allowed me to consolidate some old, and I mean old, CD-Rs onto DVD when the built-in drive balked at them. So I slipped my CD into the Pioneer and resumed my encoding task. No hang-ups whatsoever. But the thing that blew me away, and I have Max to thank for this, was that when I listened to the new song, all traces of the disc damage were gone. It turns out that Max leverages the power of an obscure CD audio extraction tool called cdparanoia which uses “high-level error-correction” to resuscitate heavily flawed discs, and completely compensate for scratches on CDs. Frankly, I’m amazed by the results. Max + Pioneer makes for a seriously perfect encoding solution. The DVR-107D shipped as the standard optical drive in some (but not all) of the PowerMac G5 towers, so you may already have one. If not, at the time of this writing, Other World Computing has its descendant, the DVR-112D for less than $50. Even if you don’t have access to the drive itself, download Max. It’ll go a long way toward creating higher-quality files. PS: Google Docs, which I use to store drafts for this site and other correspondences, now works with the new Safari 3 beta from Apple. This post was written using the combo and it’s nice to have my familiar Mac OS Services, integration and text and keyboard handling at my disposal. It’s been more than a decade since the rock band Velocity Girl broke up, putting an end to one of my favorite high school-era ensembles and effectively ending my exposure to the group’s vocalist, Sarah Shannon. Her post-VG work, a band called Starry Eyes, was short-lived and VG’s online fan base wasn’t large or cohesive enough to adequately maintain updates of band members’ whereabouts. From my perspective, Shannon had disappeared from the music scene completely and over time, my teenage indie-rock crush faded. 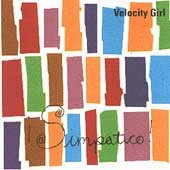 And while Velocity Girl’s particular mix of noise pop received and still receives a fair amount of play around here, by and large I stopped trying to follow her career, having figured she was just done with music in general. So it came as quite a surprise to me when I learned that she had released a solo album. But it was even more of a surprise to actually hear what it sounded like. Exemplified most by I’ll Run Away, this song and album is the anti-Velocity Girl. A far cry from the sunny, jangly pop-rock of a decade ago, this song is soulful and somber, bordering on jazz-lounge pianist balladry. Sarah says the song is about being down, out and lonely in the dead of winter in Seattle, and yeah, I believe that. But for some reason the song doesn’t make me feel sad. That’s just Sarah’s charm at work I guess. What I love: As always, Sarah’s voice; the song’s steady mid-tempo rhythm. It’s from 2002/2003. but it is new to me and that is exciting. I was comfortable with the notion that the band was gone and its member had moved on to other projects and lives. Sarah has her solo project; Archie’s doing the producer thing; etc. but when researching for my previous velocity girl post, I discovered the wonderful news and it rocks my world. There is an honest-to-goodness NEW song from the band entitled It’s Alright by Me. and it’s a free download. GO. Enjoy it! This coincides with a report that Vgirl had reunited in 2002 to play a couple shows and were working on material for a new release. the song above very well could be the end result of those sessions, though some comments from Kelly the bassist in on this thread from april 2005 seem to suggest that there are more tracks tucked away somewhere. Unfortunately, he also suggests that any sort of new release is highly unlikely. Still, after 10 years i’ve got some new Velocity Girl and that makes me very very happy. Anatomy of a Gutless Wonder was one of the last songs released by Velocity Girl before the group’s break up in late 1996. It’s only available as the b-side to the 7" single Nothing from the group’s final album gilded stars and zealous hearts. I picked it up (along with the Your Smiling Face single) directly from subpop.com in my early college days (summer of ’97), when I was flush with dispensable cash. Surprisingly, a quick visit to the site reveals that the record is still available. Despite owning a turntable and several LPs, I’ve never really been set up for vinyl–not quite portable enough. Thus, the song made its way from vinyl to cassette (and later mp3) in short order and in the 9 years since, it’s never been out of favor. I’d love to be able to make a fresh rip, but my equipment is scattered across three states. It is a crisp, dreamy gem of a ballad featuring haunting melodies and Sarah Shannon’s sweet sweet vocals. It is among my favorite tracks in the band’s catalog and, if this is indicative of the direction Velocity Girl were moving, it disappoints me further that the group broke up because the results surely would have been fantastic. For the latter part of high school, Velocity Girl was easily my favorite band. I was introduced to them back in the good ol’ days of late night MTV by either Alternative Nation or the venerable 120 minutes sometime in the spring of 1995. ¡Simpatico! must have been newly released because Sorry Again was the lead video on a night I happened to be watching in my darkened den. I was quickly hooked, by both the song’s jangly pop flavors and, every 90s indie boy’s crush, chanteuse Sarah Shannon, making a mental note that night to remember to further investigate the band. Then, just as quickly as I was hooked, mister follow-through here forgot all about the song, video and band. And so my love affair would have ended there, had I not been drifting through Cordova Mall some three months later. Friends and I wandered into a now-defunct record chain and did the usual bin-sifting and note comparing, since we had varied tastes in music. Finding nothing of interest after about 20 minutes, we prepared to exit the store. As we walked toward the front register, I noticed the colorful cover of the now playing disc. I dredged up the months-old memory of the video and began paying attention to the in-store music. I think the song that was playing was ‘labrador’ and in an instant I made the second-rashest record purchase of my life. And it was all downhill from there. I absolutely fell in love with the record and the band, going so far as to join an email list dedicated to them, which is a really uncommon thing from me to do, and set out to acquire their previous releases. For christmas of ’95 in Pittsburgh I received Copacetic as a gift and the next day found the Sorry Again single at a local record store, something that would never happen in my hometown. The b-side to that, Marzipan remains one of my favorite songs of all time. Alas, it was not to be. The Gilded Stars Tour came nowhere near Florida and the group disbanded shortly thereafter. Even though the group parted company those many years ago, their music lives on. And as long as I have it, I will keep listening. March 3 – 30 songs played. 2 removed. I had a short day at the office, so i only managed to work in about 2 hours of music. no albums today, just handful of singles. highlights include stayin’ alive [bee gees], a couple tracks from velocity girl’s¡simpatico! and the hand that feed [nine inch nails] (i’m kinda bummed that i won’t get to hear it again for the rest of the year. oh well, on with the mission. i also dumped 2 boards of canada tracks from a few old tunes, vol 2.